Comment: Two story, flat roof home. Have gutter on front. Looking to install gutter on remainder of house. Comment: Replace existing gutters and downspouts prior to painting house. Comment: Installing rain gutters on a single story craftsman home. Approx. 70LF, approx 6 downspouts. San Diego Gutter Cleaning & Repair Services are rated 4.57 out of 5 based on 416 reviews of 7 pros. 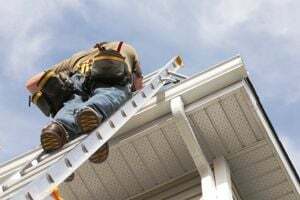 Not Looking for Gutters Contractors in San Diego, CA?